The military narrative is full of memoirs of generals in which they recount their deeds in wartime, often pausing for many pages on the merits while relegating the mistakes committed in a few lines. 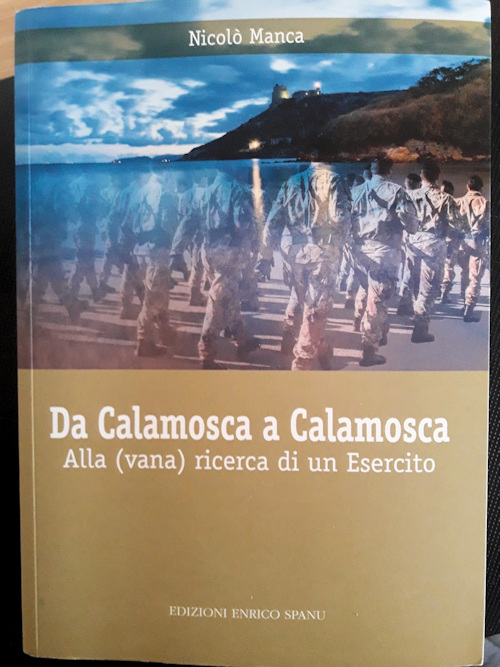 From Calamosca to Calamosca of the general Nicolò Manca (published in 2001) is a book written in peacetime but that talks about the life of a soldier serving his country. In his work the general, as shown by the subtitle, describes how he spends his career looking for an army. 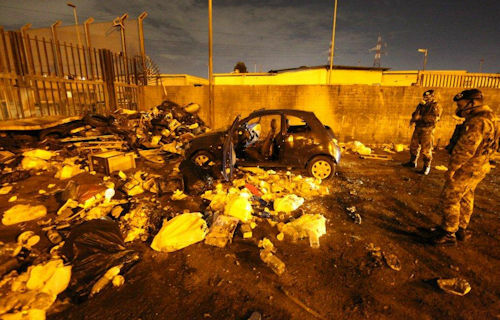 His writing is an open indictment against the Italian political class that has conducted numerous campaigns to de-legitimize the Armed Forces and reduce the appropriations to light. In the 1997, following attacks by progressive area MPs at the paratroopers brigade thunderbolt for the alleged torture in Somalia, during the operation Ibis. (1992-94), Missing resignation from the Army is missing. 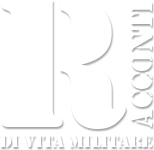 But the decision to resign is also the result of a distorted view that the country has a military instrument, a vision that is stigmatized in an excellent way by the general of the Alpine Forgiarini, to motivate his resignation in June of 1996, on the Military Magazine: ... the nefarious and insistent representation of the Army as a charitable institution, always ready to provide field hospitals, tents, hot meals, shovels, shovels, mattresses and more, and never as a team ready to express that consistent capacity for armed intervention that represents the reason for its existence. As soon as we have finished reading the book, we have reached by telephone the general to better understand his - ancient and evidently unheard - cry of alarm. General what pushed her, in times of crisis of publishing and bookstores, to reprint her book? I took this commitment because I had the distinct feeling that the Italian Armed Forces have reached a point of no return. The concreteness of numbers leaves no way out. Eighteen years ago, when "From Calamosca to Calamosca" saw the light and I was still in the confident search for an Army, Italy assigned the 1,5% of GDP to the Armed Forces, while the United Kingdom was certified on 3% and France on 3,1%. Today, after the recent cut of another 500 million to the budget of our Defense, we are attested on just over 1% of GDP while the United Kingdom and France travel on the order of 2%. Translated in a nutshell: the Italian Armed Forces can count on 20 billions of euros, the British ones on 44 and the French ones on 43 billions. It is evident that my personal "search for an Army" proved to be in vain. Why a point of no return? Winston Churchill, who knew of armed forces, argued that when the conditions of a military apparatus become serious, it takes a lot of time and money to get it back on its feet. Churchill's times and ideas are far away. The wars and outbreaks that infest the planet should lead to realism. All it takes is an ideological divergence, an economic disarray, a cataclysm, a dictatorship or a terrorism of whatever matrix to trigger a conflict or a civil war. Think of Venezuela in recent days, the US-Russia relations suddenly become critical, expansionism and growing Chinese military potential. Let's take a step back. We fly over the Vietnam war with its one and a half million casualties and three million civilian casualties and let us reflect on the Gulf War, a conflict that mobilized a coalition of a dozen nations including Italy. Among the 700.000 soldiers employed there was not an Italian, as we were not able to bring over there an armored brigade, while our air support was equal to 0,03% of the total commitment; our naval component is also ridiculous. The sarcasm expressed to us at the end of the operations by General Neal, spokesman of the commander in charge of operations, was understandable. Now we must remember that after every military event there is always a cake to share; a cake that translates into diplomatic, political and economic influence. In fact, it is well known that the businessman and the businessman are always traveling with the soldier. From this we can deduce that having credible armed forces pay, always pay, without this credibility can be accused of being a troublemaker. Indeed, paradoxically, it is precisely the military credibility that most of the time "exorcises" the risk of reckless adventures. In other words: the nation that is not militarily credible in its own right or in the context of a Alliance is inevitably considered politically irrelevant and its economic interests are ignored. The same who drew at the time a Minister of Defense who caught the essence of the problem, Arturo Parisi: without an adequate budget is the can for the Hague, because the principle that "c'est l'argent qui fait le wars ". If one turns around this problem one can make philosophy, propose military unionization, the fight against military obesity, the competitions to the Police Forces, the reduction of the number of military chaplains, the employment of the Army for bitumen of the streets of the Capital (a task that now seems to be transferred to the hands of the guests of the national prisons); or you can recycle the long-standing topic "depleted uranium", a theme that, in the light of what has been argued for years by scientists and oncologists and in the consideration that in Sardinian polygons has never been fired a single uranium projectile, has all the crisma della bufala, on which however several characters have built their visibility for years. In summary, relaunching the image of the handyman soldier is equivalent to creating a smokescreen to divert the attention of public opinion from the problem of problems: the Defense Budget. I do not deny it. I am afraid that we will have to get used to a political tendency that is hostile to military budgets and oriented towards more profitable fields of interest from an electoral point of view. Assistentialism and turnover linked to reception. Consequently we will have to continue to count on the most important capital of the Armed Forces: the ignored, little loved and badly soldier, destined to remain inserted in a context of lacking operational and logistical capacity. But sooner or later, and especially before it is too late, the construction of the great work of military credibility of our Armed Forces will have to be opened.